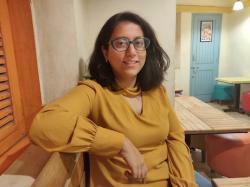 Jignasa pursued her bachelor’s degree in Biotechnology and is currently a trainee journalist at IIJNM. Her mind is usually preoccupied with art, music, food and travel. Can AI Be The Perfect Midwife, Help Deliver Babies Better? Have AI Bots Become The New Business Gurus? Can Artificial Intelligence Enable Robots To Play Social Games Like Pictionary?